With the temperatures peaking into the upper 80’s during fashion week, it’s hard to believe the official start of fall is just around the corner. My mind is already entertaining thoughts of sipping a pumpkin spice latte and munching on a warm blueberry scone. As we anxiously await the arrival of cooler temperatures, let’s turn our thoughts to the gorgeous styles that are wearable in the fall from floppy wool hats to edgy jackets. Fall is one of the best seasons for fashion. A time where the outfit ideas are endless and where summer pieces can be layered with cooler weather clothes and accessories in fun new ways. Dressing is more enjoyable rather than a painful chore like in the bitter cold of winter or the hot and humid days of summer. As sad as it is to say “Goodbye” to summer, we’re stepping into the new season in high style with our favorite fashion pieces. A quality leather jacket is a must for pulling together a chic fall look that keeps you warm for those crisp days. Ankle boots can easily elevate an outfit to sophisticated style or casual chic. It’s really up to you. Structured leggings are great to add underneath dresses; particularly in dark colors such as black, gray, and navy. Not only do they keep you warm but they give you a sleek and slimming look when styled with tall boots and a loose dress. Scarves add a touch of glamour and sophistication to any outfit and can be worn in a multitude of ways, giving you the option to create a different look each time you wear them. A floppy wool hat is an elegant accessory that carries a retro vibe and shields your hair from turning into a disaster on those windy autumn days. 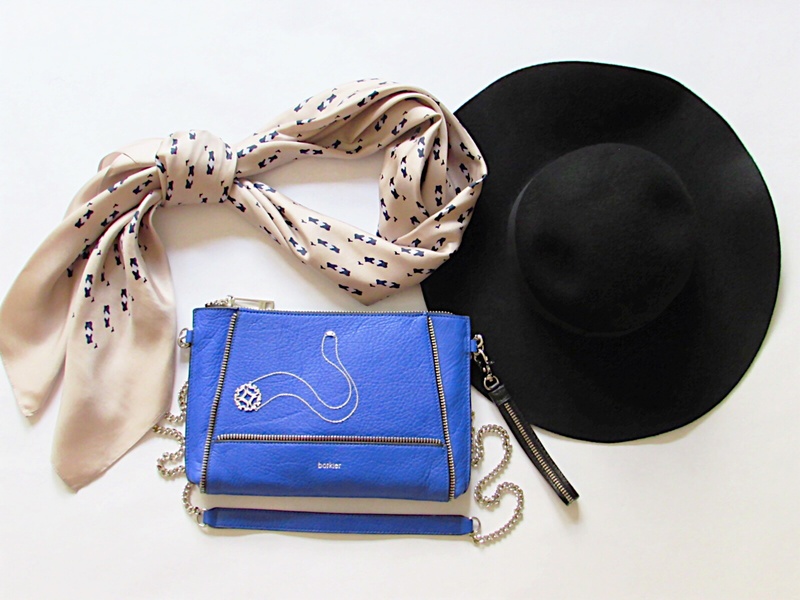 Cobalt blue accessories can add an instant pop of color to any fall outfit, which is usually dominated by dark and neutral tones. Dainty vintage jewelry is timeless and versatile in the sense that it can be worn alone for a subtle look or layered with other pieces in your jewelry collection. 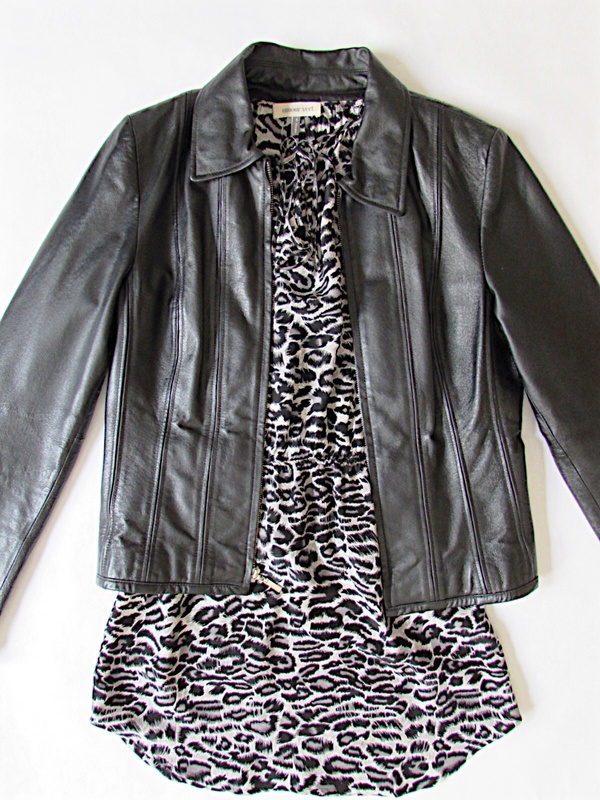 A shirt dress in animal print adds excitement and edge to a look when styled with leggings, boots, hat, and scarf. Experiment with these pieces and have fun with your wardrobe this season. Happy Fall! This entry was posted in Style Talk, Unique Finds and tagged Botkier Crossbody bag, C'est Mode Chic Style, Fall 2014 Trends, Fall Fashion, Fashion Week, stylish accessories. Bookmark the permalink.